Jet as I was reading your description of the male cassowary, complete with slicing and dicing blade-like foot claw, I found myself holding my breath. Always a wise technique to be sure when trying to save one’s life and then falling over from hypoxia. All right I wasn’t in the situation however your writing certainly made me feel as if I was. 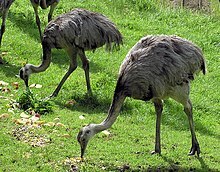 I have seen emus and ostriches bu not the other two. On our South Africa cycling trip we came across a pair of large ostriches and their young brood (not sure if that is the term) near the Cape of Good Hope. Dave and I were off our bikes as if the seats had suddenly lit themselves on fire. So amazing to see them in the wild like that. Loved hearing that you saw emus and ostriches in the wild, Sue — it is SUCH a thrill to come upon these giant birds, I’m so glad you have, Sue. Your comment gave me a big smile and a chuckle too, so fun to have you along for the ratites today, thank you. It was great fun digging up research on the four big birds for this post, and wonderful to take you along, John. I am always happy to connect with you, thank you. 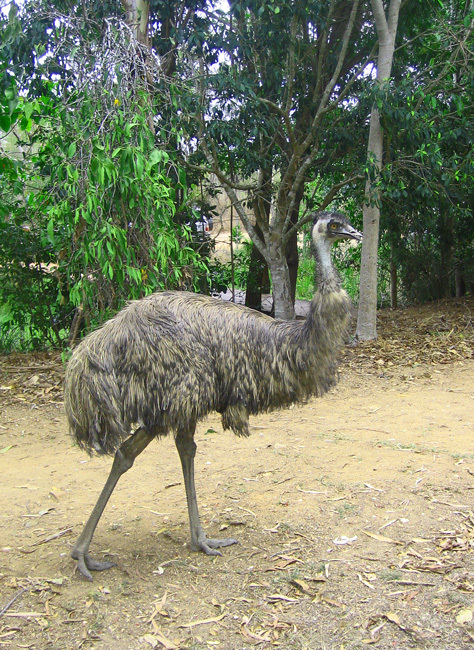 The blessed emu – love the sounds they make, the feathers they drop but not their aggressive nature nor their amorous ways! Oh my word, Jet! I was once scared by a Canada Goose that chased me while on the golf course, can’t imagine having a run in with a cassowary. Thanks for sharing your fantastic photos! That run-in with the cassowary really was a scary one. Hard to believe one of my scariest encounters in the field was with a bird. Glad you enjoyed the ratites, Jill, thank you so much. I have missed your posts. This one is excellent and I love the story of the Cassowary….and the close call you and Athena experienced!! I also enjoyed reading about this amazing bird in your book (when is the next book coming out?) Amazing to think that that this species of birds goes back 56 million years….if that doesn’t put things into perspective nothing will. Oh so lovely to have you back online, Janet; I always respect your travel breaks, and I always enjoy it when you return. I was happy to be able to put the real-live cassowary experience into Wicked Walkabout, and appreciate your salute to it here. Things at the burn site are still troubling, as we still have no electricity, many setbacks, and at least two or three months away from home yet. But we are going up on the weekends now and cutting the waist-high grass and trying to instill some order with gas-powered tools and periodic crews. No new book for some time to come, but ideas are flowing. My warmest thanks for your concern and kindness…. Dear Janet, thank you so much for your kindness and assurance, much appreciated. Very interesting post Jet. Your experience with the cassowary had me in the edge of my seat! Beautiful photos as always. Great to know my cassowary story had you intrigued, Belinda, oh how we writers like hearing that. My warm thanks for your visit here today and other days too, much appreciated. These are amazing birds and amazing photos, Jet. I wish we had more of them in our part of the world . . . I think. Your comment had me chuckling, Donna, that pondering at the end. Thanks so much for your visit today, I am glad you stopped by. These are such remarkable birds, so easy to see the dinosaur connection. Love how they look, the Southern Cassowary in particular, quite astonishing, and I can understand the thrill and fear of your encounter with that big bird. The little chicks – relatively little! – are cute enough. I hope you get to see the last ratite on your list, in fact, I’m sure you will at some point. Another wonderful post – thanks, Jet! Lovely to receive your comment, pc, as always. It wouldn’t be a Friday morning without our exchanges, such a pleasure. Great fun to share the ratites with you, my friend. We were absolutely thrilled when those chicks came along. We were in an odd residential neighborhood in the middle of nowhere, parked on the side of the road wondering what to do (about an accommodation snafu), when this adorable family walked up. Had to photograph them through the car windows, they’re so skittish. Have yourself another incredible weekend, you and Mrs. pc too. Dear Doda, Thanks so much for these delightful words of praise and your attentive reading–it is truly a pleasure to share the big birds with you, their many gifts and curious ways, and their ancient existence on this earth. How marvelous that they still walk this planet. I appreciate your visit, and send my warmest wishes to you across the pond, hope all is well with you. Oh how you dazzled this wordsmith with your great and appropriate word, Eliza. 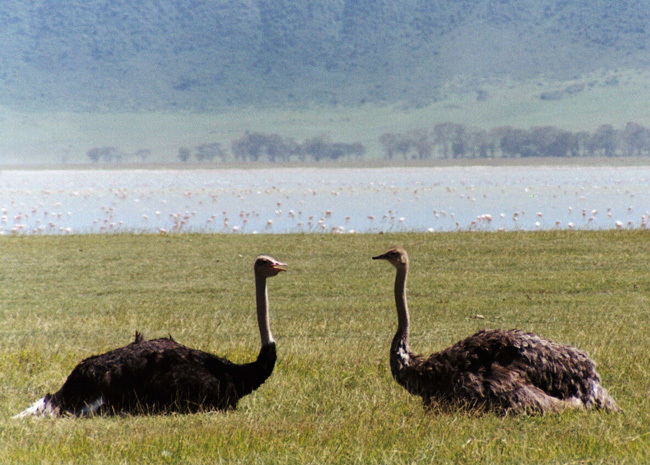 Yes, there are emu and ostrich farms around the world now. And when we were in the grocery stores in Australia emu was packaged in the meat dept. I never ate it, didn’t have the heart or desire, but I imagine one big bird yields quite a bit of meat. Always a joy to hear from you, Eliza, thank you. Great stories and pictures, as always. Warm thanks for your visit today, Craig. The Cassowary seems the most ancient of them all…like a type of dinausour. Yes, I agree, Dina, the cassowary is very dinosaur-like, and moreso than the emu or ostrich. That crazy topper of keratin and the long dangling red wattles, and those feet are especially old-world. I’d imagine you’ve seen plenty of ostrich, how wonderful. Thanks so much. Yes, I love taking photographs of ostrich, but they are also seriously dangerous. You had quite a frightening experience with that cassowary! I didn’t realize there were so few left, and even though they may be dangerous to intruders, it would be a shame to lose these exotic birds. What a thrill it must have been for you to see them (now that you can safely look back on that experience). 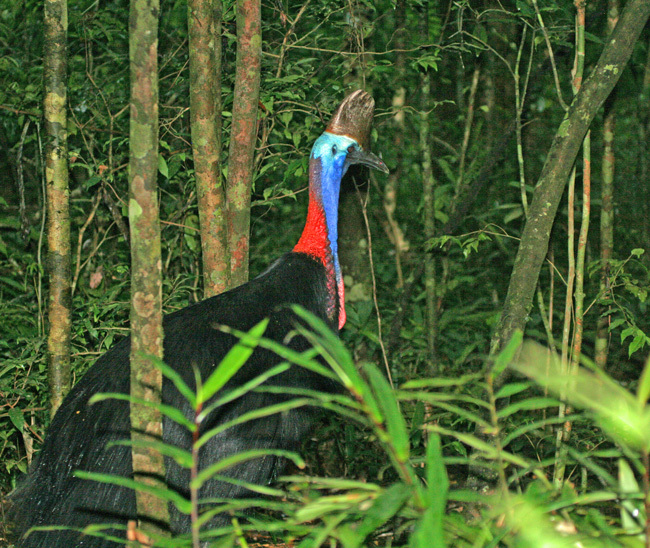 Great to hear your first thoughts upon seeing the cassowary photo, Anneli. Yes, it is fortunate the cassowaries are still plodding along on this planet, I hope they always do. Up near Daintree there were many road signs, like the one photographed, warning drivers to slow down and be cautious. Glad you enjoyed the ratite post, thanks so much. Fascinating post Jet! Thank you! So glad you enjoyed the ratites, montucky, thank you. There’s a safari park in the Everglades that has a couple of emus – Swamp Billies – and they were pretty aggressive. Scary to think of a bird that size flying – I guess nature knows best. Wonderful! So interesting to hear about why they’re called “ratites.” But I’m grateful that I can see Athena’s beautiful photos and read your vivid descriptions — without having to back slowly away from my computer screen! Chuckled at the thought of you backing slowly away from you computer, Nan. And what a joy to take you with us around the world to see the ratites, thanks so much for joining us. You covered em all. Interesting post, pleasure to read. Thanks very much, Bumba, I really appreciate your visit and comment today–glad you enjoyed the ratites. Yes, the ratites are rarities around these parts. Needless to say, none of these birds roam the suburbs of Chicago and I haven’t seen them in the wild elsewhere. But I enjoyed reading about your experiences and seeing the photos, although the cassowary encounter would certainly not have been enjoyable!! Probably a good thing these big birds wouldn’t be roaming Chicago suburbs, they’d cause a few accidents by drivers taking their eyes off the road! Glad you enjoyed the post today, and I appreciate your kind words and visit today. 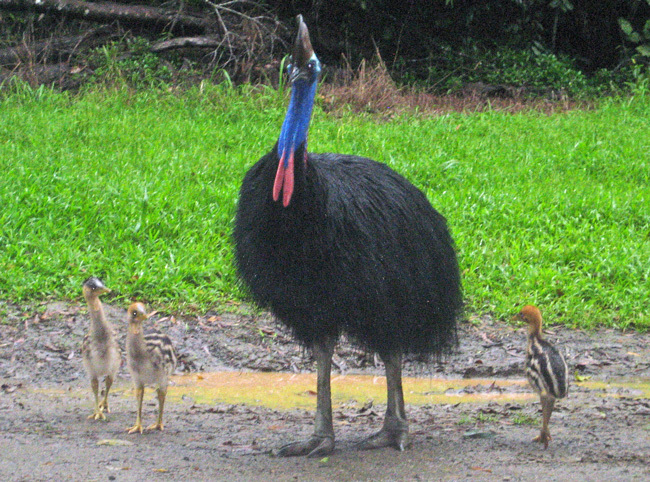 Those cassowary chicks look far too sweet for such a monster of a bird – albeit a handsome monster. I remember well your experience with it from your book – good reading. Such a pleasure to know you remembered the cassowary scene in Wicked Walkabout, Alastair. And I agree, those chicks were really adorable…so little compared to the giant father. My friend, always a delight to “see” you, thank you. And to think we run and are scared of the likes of a Canada Goose. Whoa, these birds are quite large, thankfully your guide knew what to do. In all the dangerous places with dangerously wild animals (lions, tigers, bears, oh my!) that you both have gone, who’d think you’d have to worry about sightseeing birds?! Great post, Jet! There’s something very primitive and fascinating about the ratites which you’ve presented so wonderfully. Being human-sized, the birds have an immediacy as we encounter them, and their flightless condition hearkens back nearly to an ancestry among the dinosaurs. Thanks for sharing your experiences with these creatures, too. Enjoyed it! Always a treat to receive your words, Walt, thank you. They do have an immediacy to them, so big, like another person walking up to you. They have this way of stretching their necks even taller, that I just love to watch. Glad you enjoyed the post, thanks very much. I started reading your book last night, am enjoying it a lot–beautifully written, and very interesting to read about the watersheds and all the life that thrives there. Cheeky birds, yes, HJ? Who would ever guess how threatening a bird can be. Enjoyed your comment and visit so much, thank you. I truly enjoyed reading about these big birds. 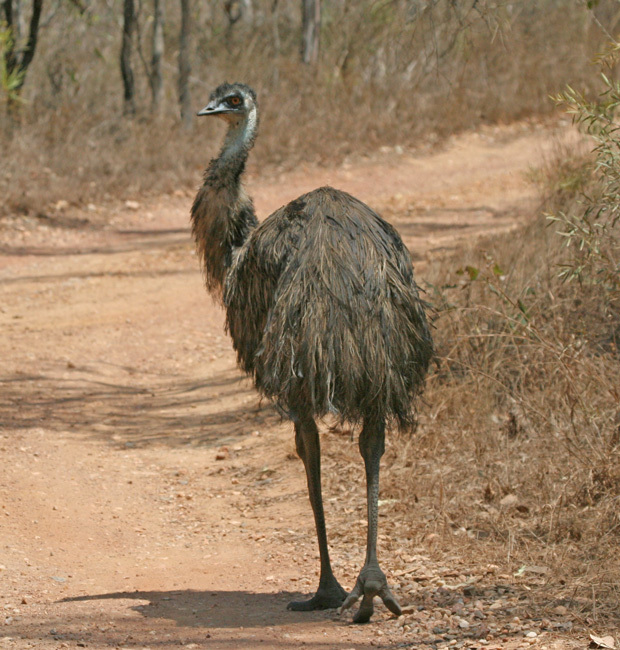 Oddly enough I once spied an emu strolling down our driveway back in Myrtle Point (two house back). My late husband had a cousin who lived just over a ridge from us. She had an odd assortment of critters which included emus and I forget what else. Apparently this emu took it into its head to go on a walkabout. Oregon isn’t exactly a place one might expect to find an emu. You never know though! Loved hearing about the Oregonian emu, Gunta. Now that’s something we don’t see too often on the driveway out here in the U.S. west coast. And you’re right, you never know what you’ll find. A joy to have you stop by, thank you. We just took a drive up into “our” burn area from last summer. We found a place where the 2002 (Biscuit) fire met last year’s Chetco Bar. Interesting to see things start to regenerate or compare the different stages. I’ll try to blog it once I’m done with the trip to Silver Falls. Thanks for your kind comments about the fire, Gunta. It has been a lot of angst, as you can imagine. We keep marching on, in the wake of the destruction and loss. Life does not stop so we can’t either. We have gone through all four seasons now, and warm summer days are easier without electricity. My warm thanks. 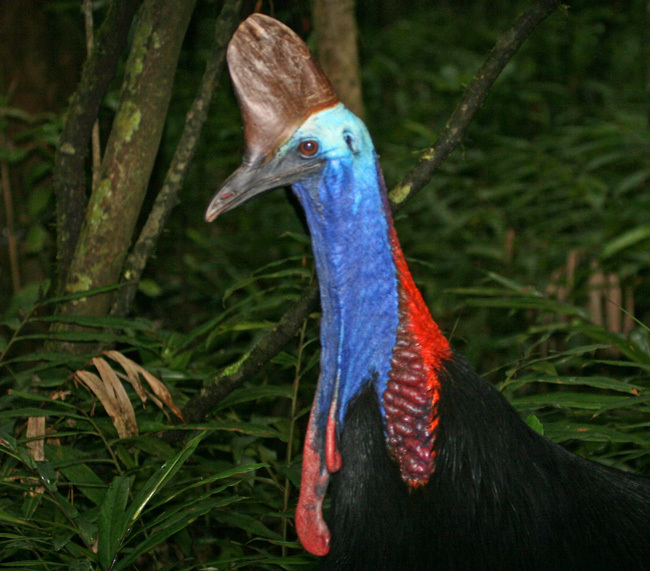 Your story of the cassowary encounter is scary. I have read a lot about them and know how dangerous they are. I saw one in the wild in 2004 — only briefly. Lovely post Jet. Yes, we were lucky that the guide knew what to do and also that he protected us. We were so relieved when we saw him come out of the forest. We all got into the car, locked the doors, and just sat there in silence. Glad you enjoyed the post, Sherry, thank you. Fits in with the cassowarys, etc. Very interesting article, Sherry, thank you. I find them all big and beautiful, but scary fits in too, lol. Great to receive your visit and message, Bill, thanks so much. I’m all for the adventures of life, and so glad to have an outlet to share them. Grateful that you enjoy sharing the experiences, Val, and always a pleasure when you visit, thank you. What an extraordinary connection between these giant birds and how lucky to have seen them all! I am lucky to have seen many of the ratites, and glad you enjoyed the ratite post, Cathy. Thank you. The Cassowary looks like an amazing bird and interesting creature. Boy, what an adventure you had with one of them. 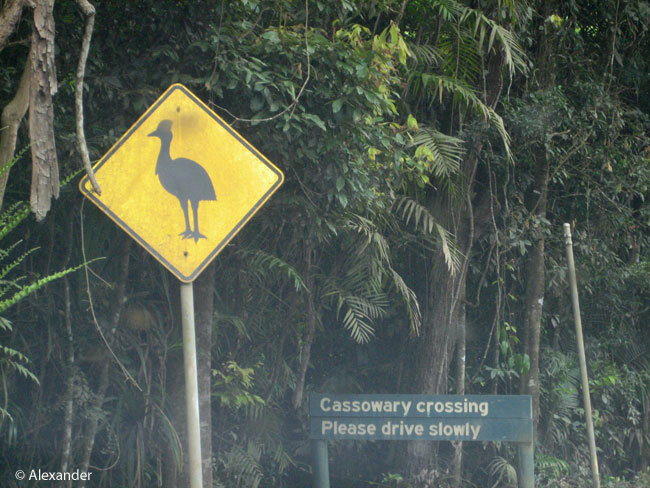 Love the sign ‘Cassowary crossing’, just as well that they warn you! WE found those signs pretty funny too. There were several different graphics, complete with graffiti, and they were all enjoyable to see in the Land of Oz where cassowaries get their own signs. always a delight, Bertie, thank you. I’ve enjoyed this walk through the giant bird world. Thank you Jet. I do always enjoy seeing the road signs designated for animals/birds in the area. Las Vegas had them for tortoises. I am happy you enjoyed the big birds, Sharon. And I agree, the cassowary signs were fun. In that northern coastal section of Australia they also had the yellow caution signs for the dangerous jellyfish on the beaches. I love hearing about the tortoises in LV. Sending big smiles your way…. I’m glad you’ve seen two of the ratites, Helen, for you know the pleasure. I’m smiling, happy you enjoyed the post, thank you. Thanks so much for stopping by, Frank. I’m glad you enjoyed the ratites. They date back 56 million years, how fascinating. Thank you so much, Jet for sharing the photos and info, they are new to me. The male Southern Cassowary is beautiful! Hi Amy, thank you. I agree that the male southern cassowary is a beauty. Glad you enjoyed the ratite post. Your comment made me chuckle, Andrea…interesting creatures but you’ll skip the cassowary. Always fun to have you stop by, thank you. Loved learning about the human-sized birds! 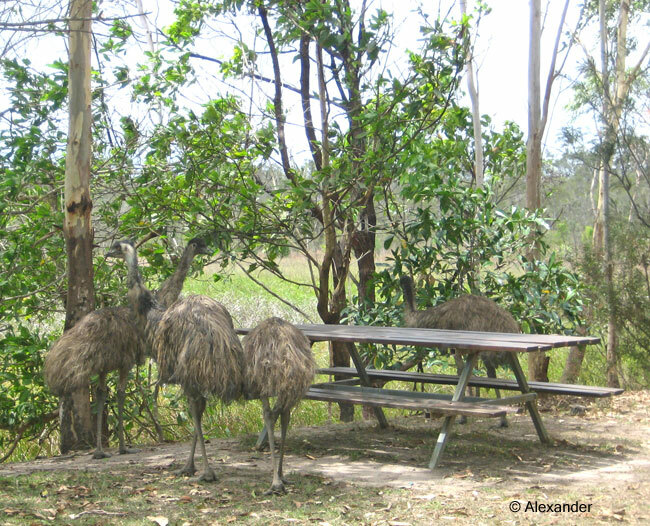 Athena’s photos are wonderful and I especially enjoyed the emus enjoying a picnic lunch, the cassowary with chicks and the male Ostrich. How fascinating to have watched these birds in these locations and I’m still trying to decide if I could have kept myself under control and backed away slowly or if I would be one of those fools that took off running from the cassowary. Wonderful post and I hope you had a wonderful weekend! I enjoyed your comment, ACI, thank you. It was tricky to back up out of rainforest, with so many downed trees and thick vines and slippery, mossy debris. But had you been there, I’m pretty sure you wouldn’t have turned around, sensing the deadly seriousness of your moves. I loved hearing from you, as always, thank you. Your story of the encounter got me so very wary. Ah that’s why they named the bird cassowary! Lame joke aside, I am glad that the episode turned out well and no one got hurt. Their colors are brilliant. You are very fortunate to witness them despite the scary encounter. Thanks for educating me about the Ratites. Yes, after our hearts stopped beating so hard, we were delighted to have come upon this cassowary in the rainforest, and all the cassowaries we saw up there on the northern tip of west Australia. I’m glad you enjoyed the ratites and the post, and I loved the cassowary joke, Keng. Thank you — sending many smiles to you. this post one of my favorites (if that is possible) Was glued to the post once I started! I just loved getting your comment, Eddie. I’m really glad you liked the ratite post. Next Friday is about lizards, something you probably see often where you live. Always a joy, my friend, thank you. Lizards! I can hardly wait. All I can say is OH MY GOD! I’ve been scared away from locations by small birds protecting their territory, I can’t imagine being confronted by an adult cassowary. I’d never even heard of a cassowary before now, but I’m pretty sure I wouldn’t want to confront an angry one!! That was one hell of an adventure you had! This was a very interesting post, Jet. I had no idea about ratites – or their speed! It was completely rewarding to receive your comment, Joanne, and I’m still smiling. The cassowary was indeed a memorable adventure. It is also a thrill to have introduced you to the ratites and cassowary, so thanks so much for taking the time to read it and absorb it. I believe I’ve read about the Cassowary before in another post of your’s. Truly a suspenseful story, one that since everybody come out okay is pretty exciting to look back on. I wonder how many stories you have like that given all the places you’ve gone and animals you’ve seen. Anyway another great post Jet. I’m very glad you enjoyed the cassowary and ratite post, Lloyd. I would imagine you’ve seen lots of emus in your life in Australia. We saw the cassowaries up in the north around Daintree. Thanks very much for your kind comment. Only at zoos I think. I have seen kangaroos in the wild or wallabies. Thank you, Kelly. 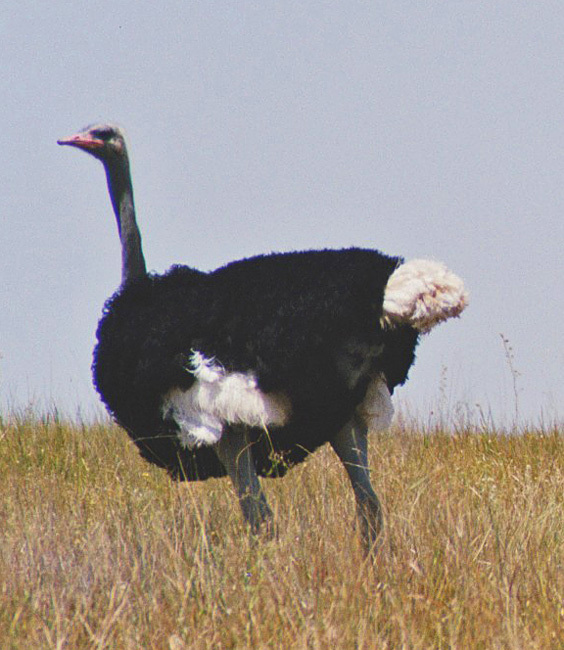 It is a great joy to watch ostriches, I agree. brought me the big birds, Jet! Whew! I’m glad your cassowary encounter ended safely! Thank goodness these human-sized ratites cannot fly ~ imagine how frightening they would be if they had access to the airways, too. So sorry that I couldn’t be consistent in blogging now days but I always enjoyed posts with content. I know how much effort is required in coming up with a post which is attractive as well as informative.